Self-adhesive notes. 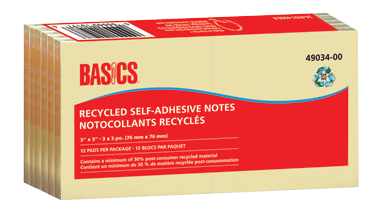 Contains a minimum of 30% post-consumer recycled material. Yellow. 12 pads/pkg. 3" x 3". 100 sheets per pad.